What Will We See at PAX East and E3? It’s getting to be that time of year when all sorts of exciting game announcements are made. We’re just over a week away from PAX East, which will be held April 11-13 in Boston, and just over two months away from E3, which will be held June 10-12 in Los Angeles. Ubisoft and Square Enix have both confirmed their lineups for PAX East. 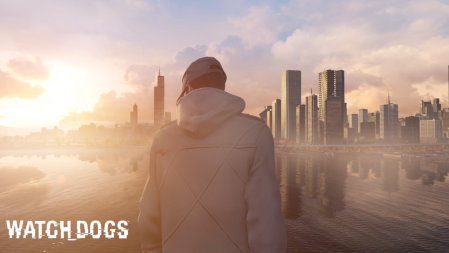 Ubisoft will showcase Watch Dogs, The Crew, Child of Light, Trials Fusion, The Next Level, and a variety of digital games. Square Enix will showcase Hitman GO, Murdered: Soul Suspect, and Nosgoth. All of these games will be playable, and there will be a special Watch Dogs demo we haven’t gotten to see before. Now, while those are only a handful of titles to look forward to (although we’re sure there will be other exciting games shown at PAX East), this year’s E3 sounds like it’s going to be an excellent one. Microsoft believes E3 will be filled with “huge franchises,” and while it will share information about internal matters soon, all of Microsoft’s third-party news will be announced at E3. @BobFTW14 @Ubisoft @Bungie Any news on third party relationships would have to come at E3. Meanwhile, Sony plans to have “a decent mix” of genres at its show, and Square Enix has hinted at Kingdom Hearts III and Final Fantasy XV making an E3 appearance. Overall, everyone makes it sound as though this year’s E3 will be centered on games, and with the new consoles going strong, we can expect lots of news on Xbox One and PS4 games.